Two years ago, Ann’s career was one of her priorities in life. Since she was 19 years old, Ann had put a lot of time, effort and energy into working full-time and studying part-time to achieve a successful career as a Chartered Accountant and become a Financial Director in a world where the clock never stopped. Even as a mother of two children with a busy household, Ann took no break from her fast-paced life. The answer to this question came in the form of a self imposed “sabbatical” from her career and the corporate world. In 2013, Ann left her position as a Financial Director with a conviction to pursue her own personal interests, spend quality time with her two teenage children and tick items off the bucket list she always dreamed of fulfilling. For the first time in her adult life, Ann experienced the simple things in life like driving in the sunshine during a weekday, picking up her kids from school and taking a proper vacation with no work involved and no backlogs to worry about. During this time, Ann heard Lee Moyo speak about CAST’s Business Development Programme at church. Realizing that this was one item on her bucket list and she had no excuse not to share her wealth of business experience, Ann decided to write her name down on the CAST volunteer list in the church foyer. In her former career, Ann had always been actively involved in community projects, but they lacked the personal involvement that she desired. Ann started to volunteer with CAST in March 2013 as a Business Forum Trainer. While she was out of her comfort zone at first, Ann found a sense of purpose and belonging at the end of her first 18 week course. 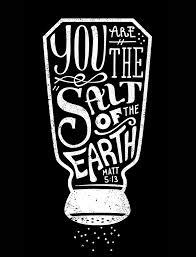 Instead of dealing with highly educated and wealthy people, many of whom had big egos, Ann found humble, sincere individuals in the townships she describes beautifully as “the salt of the earth”. With no hidden agenda, these individuals had no desire other than to learn how to improve their quality of life. Ann believes in the ripple effect of the business forum, that even if one person from each business forum is successful, that difference is felt in the greater community. By giving individuals skills instead of handouts, Ann believes you can create greater opportunity for those individuals and their communities. 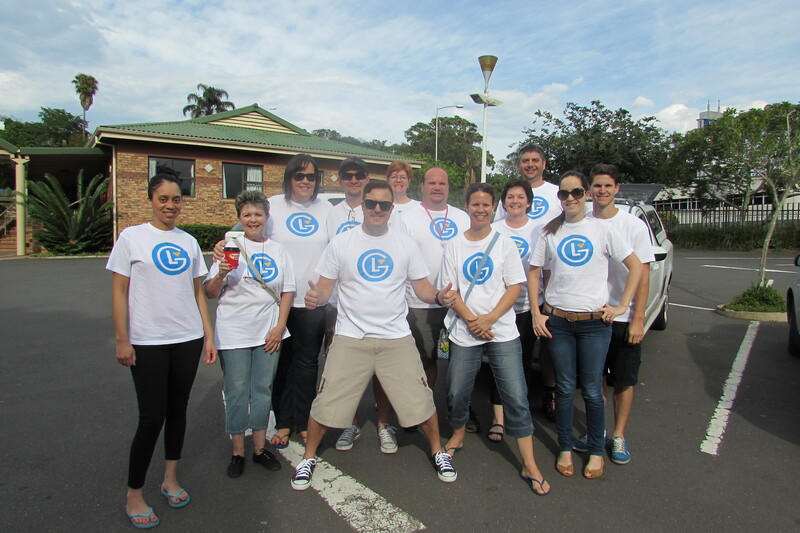 Last Saturday a life group from Westville Baptist Church organised the Lovebox Celebration in Lamontville. 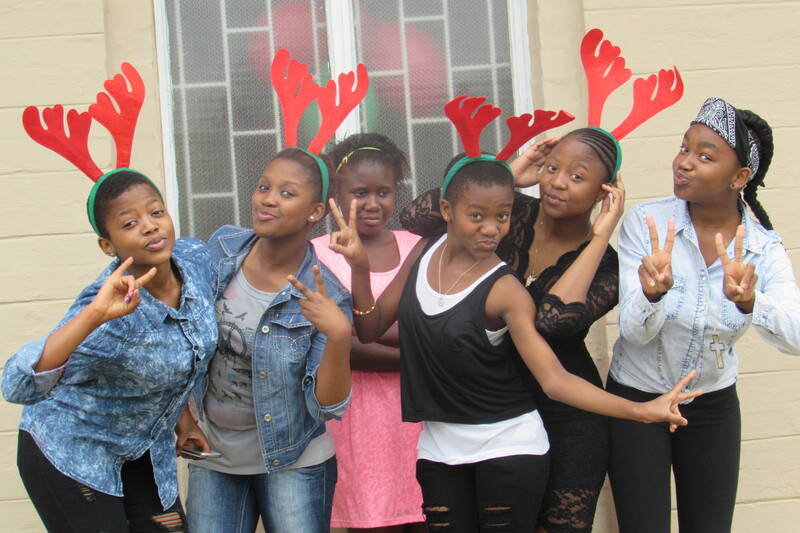 The same group that organised the Winter Warmth Drive for 40 Days of Community, this life group was amped to serve again in Lamontville. The kids in Lamont were absolutely spoiled! 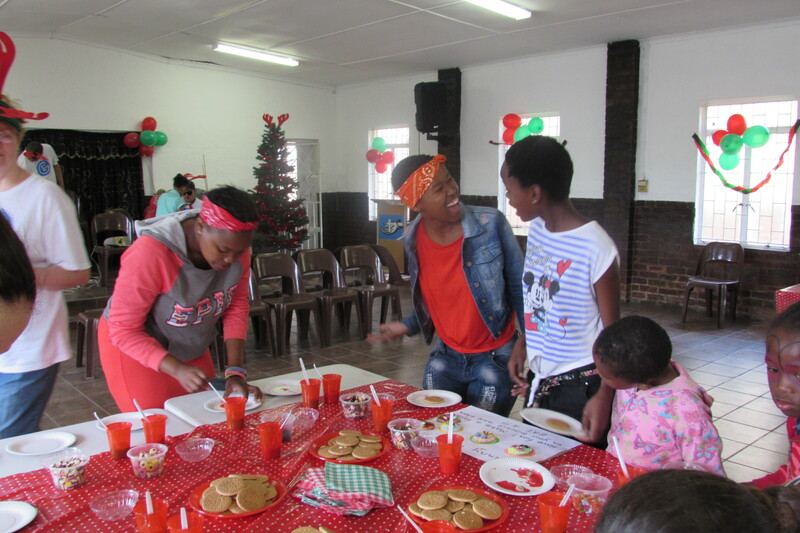 First, the life group had stations with the following activities: face painting, biscuit decorating, colouring, fishing, musical chairs, soccer, egg and spoon race, and a potato sack race. 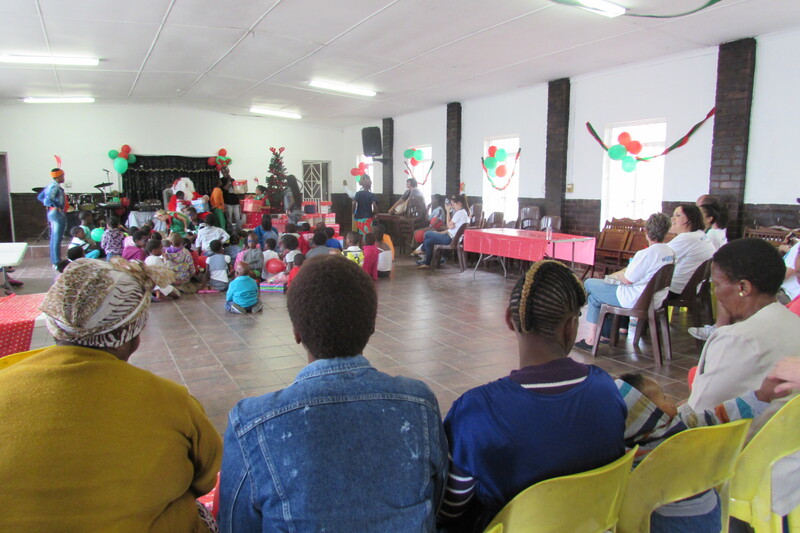 Then after fun and games, the kids joined to sing some songs and hear the Christmas story from Simphiwe Mbeje, CAST’s Community Coordinator in Lamontville. The life group served lunch and cakes to celebrate as well. For the grand finale, Father Christmas came to visit all the children and hand out presents! Each child was blessed with a lovebox, specially packed just for them. Thank you to everyone at Westville Baptist Church who helped a child feel the love of Christ this Christmas season through a lovebox! 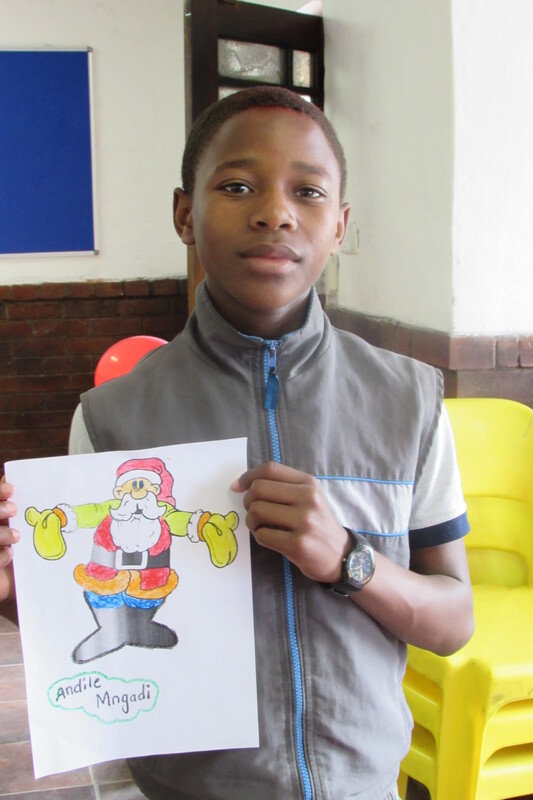 A bright student and talented artist in KwaDabeka, Lindo has always excelled at school. However, this past June Lindo’s life started to fall apart when he developed a serious eye infection that impaired his vision and entire nervous system. 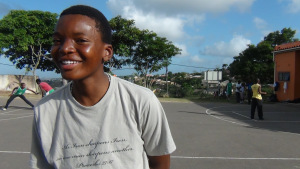 As Matric exams neared, Lindo was forced to stay home from school for 2 months because of the infection, which made it nearly impossible to see clearly or stand upright. Eventually Lindo was able to get the treatment he needed. 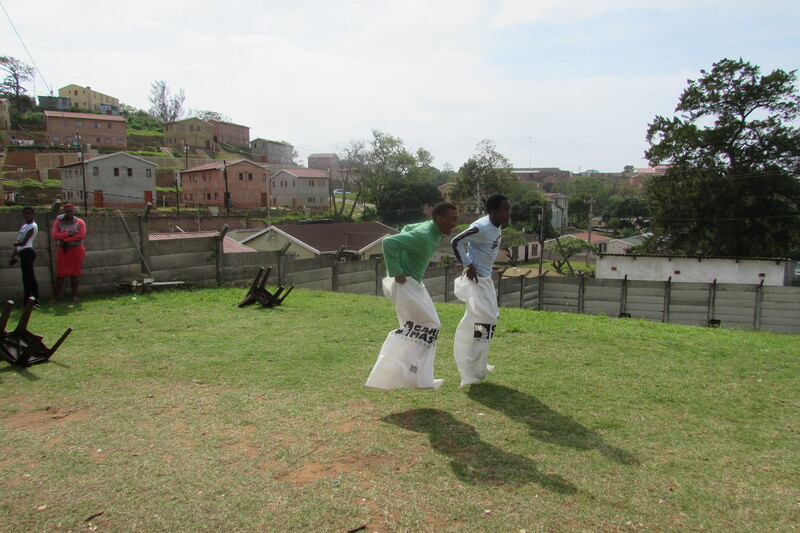 Soon after, Lindo was paired with a mentor from Westville through CAST’s Youth Development Programme. A successful businessman from Westville, Rowan Oom came into the mentoring relationship not knowing what to expect. He questioned whether he would connect with Lindo, especially coming from two very different cultures. However, Lindo opened up to Rowan as the father-figure he never had. And contrary to his assumptions, Lindo learned that Rowan had worked hard to achieve his success. They often meet at the McDonalds in Pinetown with no agenda other than to chat about life. Recently, Rowan gave Lindo homework to research and make a decision between graphic design and architecture, his two study interests. 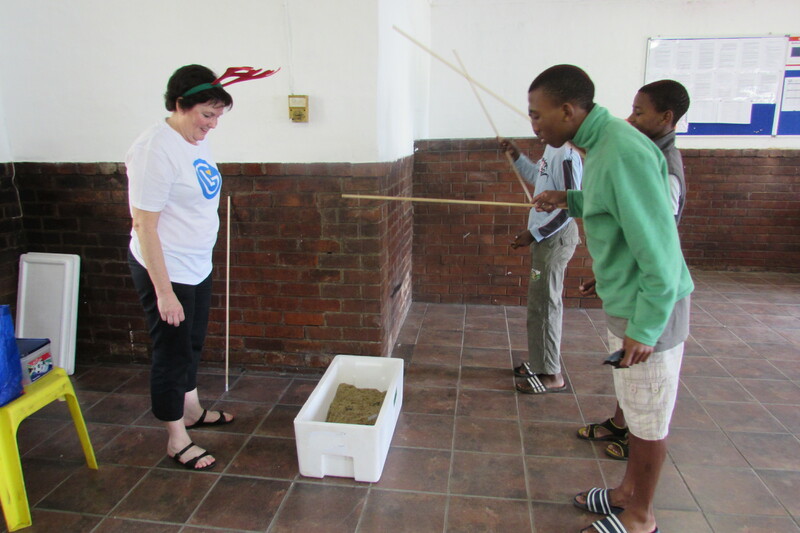 Rowan also invited Lindo to his home so that his son could help Lindo with maths. Rowan finds that mentoring Lindo is similar to talking with his son. This is what Patricia often hears from parents of the children she cares for. 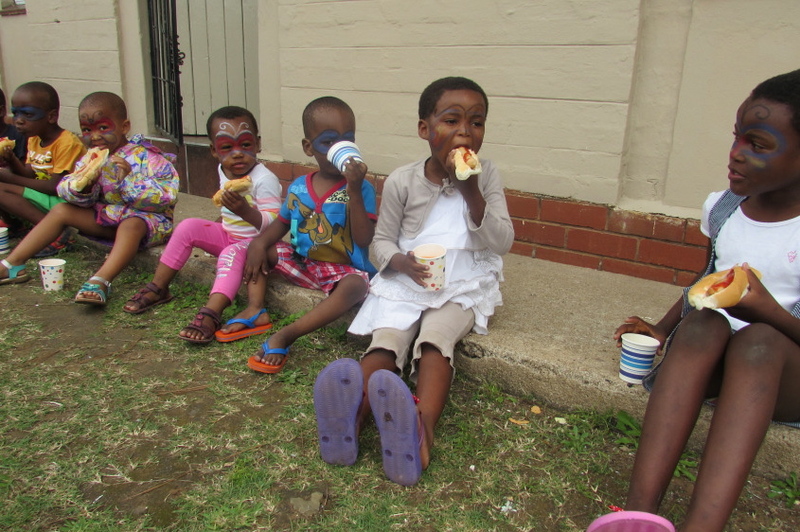 A typical day at Patricia’s crèche in Chesterville begins with warm porridge, followed by smiles, laughing, and playing. Although Patricia has a limited amount of toys and resources, she loves making the babies and toddlers at her crèche feel happy and safe. After a small snack for lunch, the kids have a chance to sing and dance. They always brighten Patricia’s day and make her laugh. Before finishing the day, she cleans up the children, changes their messy clothes and dirty nappies, and feeds them one last meal. Then it is time to send them home, tired from a long day of play, yet excited to come back tomorrow. Patricia remembers almost four years ago when she started watching her neighbour’s grandchild. Little did she know that it would grow into a way to support herself. Although Patricia lives in a small RDP house, she found a way to make use of the space available to her. 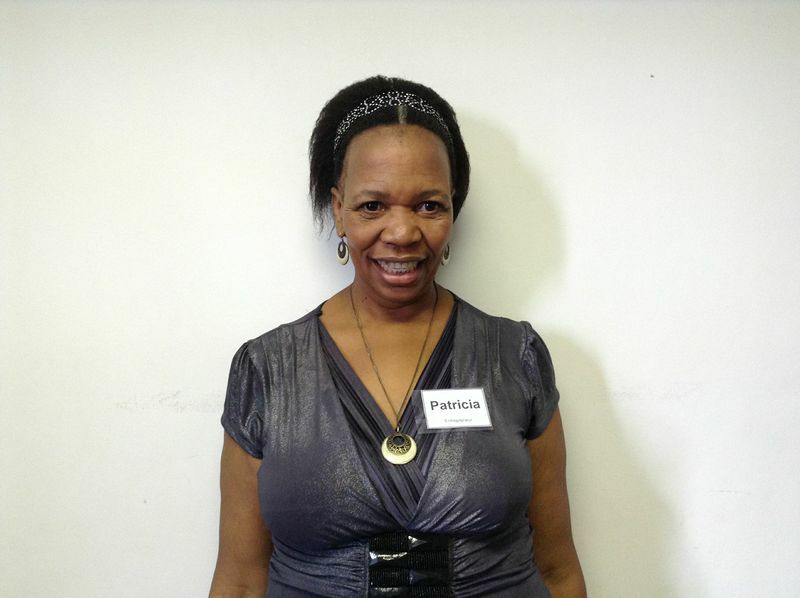 Recently, Patricia attended CAST’s Business Forum in Westville. Business Forum has enabled Patricia to dream big about the future. While Patricia finds great satisfaction in caring for the children on her own, she also has dreams of building a larger house and employing others to help accommodate more children in Chesterville.